We are so excited to bring you a Sneak Peek of our new Spring 2016 Release. We'll be sharing the collections in their entirety this week so be sure to check back each day. 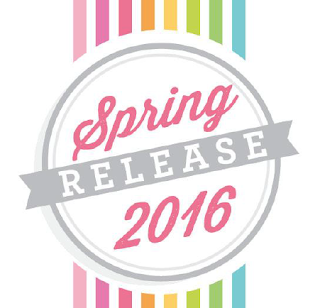 The three new collections are "Fun in the Sun," "Kitten Smitten" and "Puppy Love." You will have opportunities this week to WIN the new COLLECTIONS before you can buy them! So be sure to scroll down to learn how you can enter to win! 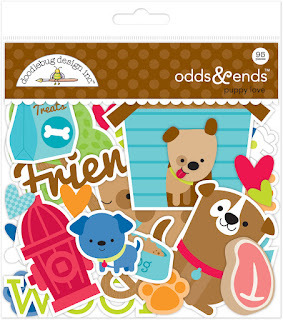 First we have the new "Odds & Ends" precision die cut ephemera pieces. They are printed on 80# cover weight cardstock. 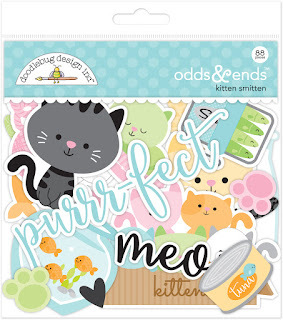 Now you can get the look of precut coordinating pieces to complete your layouts, paper crafts and card creations. Collect them, trade them, love them and get them while you can!! Introducing our limited edition, high quality, baked enamel pins - and each is individually numbered! these jewelry quality pins are some of our favorite icons from our newest lines and we are thrilled to offer them to you! But...when they are gone, they are gone forever. We will never make that variation again!! Enamel pins are a hot trend... so grab all 10 in this first series and let the collecting begin! These darling mini paper clips were designed to compliment each of our newest collections. Each style comes with 12 Cute Clips that lay flat and are safe for scrapbooking. They are the perfect finishing touch for any of your projects! Great collections, I can't wait to see them in full! 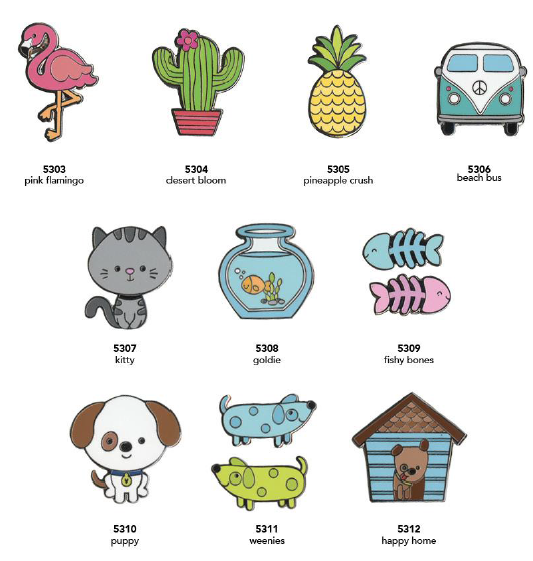 I love all things flamingo right now, but that beach bus pin is my favorite!! ohhh boy---very hard to choose! 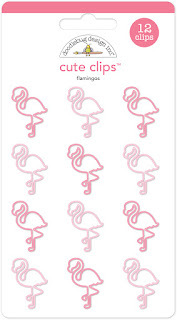 love the puppy love collection---flamingoes--yes, please--and those kittens ar so cute! The collections look awesome! I love the odds & ends die cuts! 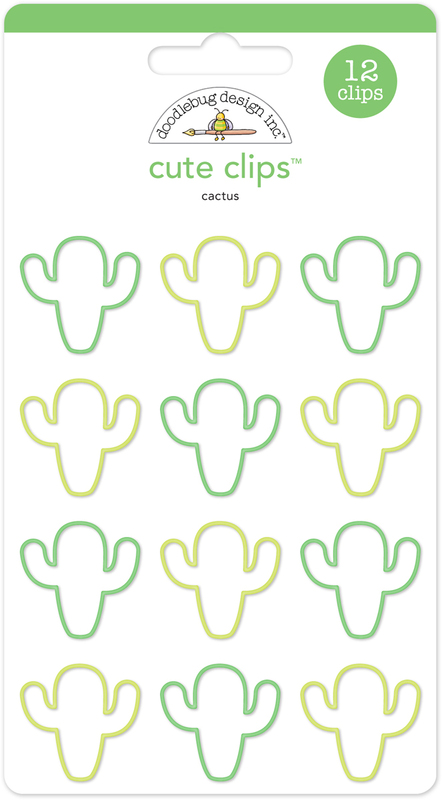 The cactus clips look amazing! Love the odds and ends! I can't wait to see more of Kitten Smitten!!! We lost our kitty this winter and I miss having a little ball of fur around. Can't wait to see more!...and the flamingos are funky too! All so sweet!!! But those cactus...I love them!!!! All the heart eyes for these! ! 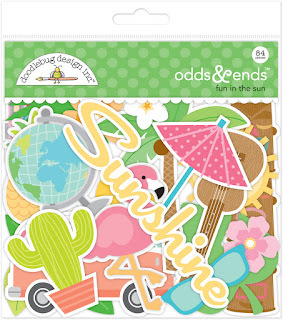 I'm going to need the "Fun in the Sun" collection to scrapbook & paper craft with! My daughter can't get enough flamingos & we live in Moab, so the cactus is perfect! Doodlebug is my favorite! I love, love, love the dies! They are all so adorable!! Love the Flamingos! So cute. Kitten Smitten!!! I need it! It's so cute! WOW - I love DOODLEBUG!!! You always impress and knock my socks off!!! I cannot live without the new Fun in The Sun collection - those flamingos are to die for!!! I'm extremely excited about the Fun in the Sun. We are planning two beach vacations this year! Plus I have a 1 yr old grandson who loves the outdoors! I love the kitten collection! There is so much cuteness!!! I could never pick a favorite! They are all adorable - as always!! Loving the fun in the sun collection, great for those beach vacations! Love the fun in the sun collection! I adore the smitten kitten! I love Fun in the Sun. Fun in the sun cause summer is coming but also I have a cat so must have both..that kitten design is pretty darn cute. U can never go wrong with die cuts too. In love with Puppy Love to stylize a Puppy Party for our Minky! Smitten with the Kittens for my Cat Lady Friends' Parties and going to have Fun In The Sun with Flamingos and Pineapples for my 2 girls! All three new collections are adorable! Of course, Fun in the Sun is first just because the SUN is calling my name after a long, wet winter! I am a Doodlebug Design scrapbooker! Working with DD collections always makes me HAPPY! Kitten Smitten is calling my name! Love those Cute Clips too! ALL your products are my favorites! 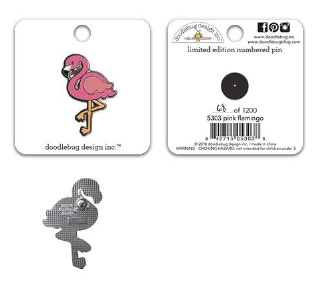 If it says Doodlebug Design Inc on it, then it becomes an item on my wish list! I'm especially loving the new Fun in the Sun collection. Everything you make puts a huge SMILE on my face! With three cats and two dogs, I need Kitten Smitten and Puppy Love! Adorable! This collection looks adorable! The new products are awesome! The enamel pins are super cute! I created my first Pinterest board and filled it with pins from these new collections. Oh my gosh, I actually gasped when I saw there's a cat collection! Kitten Smitten is a scrappy must!!! And those flamingos... adore. I just adore the Kitten Smitten line and can't wait to see more! It looks adorable! Although the Puppy Love and Fun in the Sun do look pretty cute too! Love the die cuts a lot . 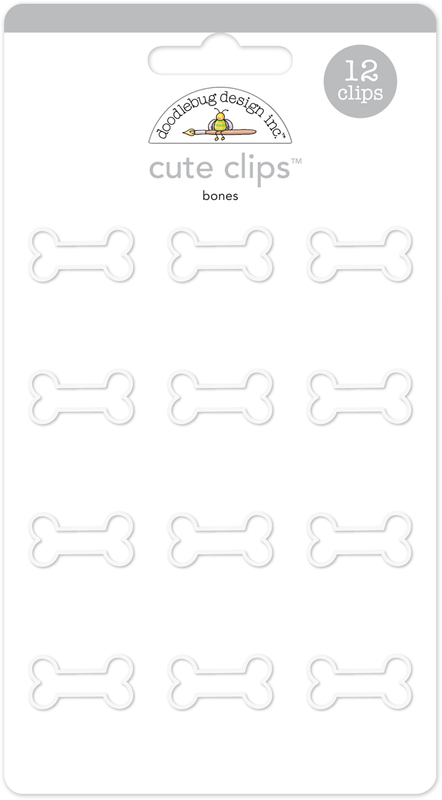 They are so versatile and love them better than stickers . Love the flamingoes and puppy . Not much of a cat person !! Fun in the Sun looks wonderful. It's cold here so I need thoughts of Sun. All the Kitten smitten collection! I love it! Fun in the Sun and Kitten Smitten are my favorites. Those Enamel Pins and the Cute Clips are must-haves!!! My favorite collection has to be "Fun in the Sun", even though I love puppies. The flamingo clips are too cute! Those puppy clips are on my must-have list. I'm loving Puppy Love! Loving the fun in the sun collection. Makes me wish I was on a beach vacation. And the flamingos are too cute! Oh gosh so hard to choose because i know I'm going to want them them all! I would say the puppy love collection and bone and fish clips are a first definite must have for me though. Thanks for the opportunity to win some of my favorite product line! Kitten Smitten is my fave! amo las colecciones pero sin duda mi favorito es Smitten Kitten. The "fun in the sun" collection looks incredible (if it ever warms up around here). The flamingo paperclips make me smile. Adorable new collections here, The kitty paper clips , way to sweet! Oh my gosh, I am so excited about Puppy Love! Can't wait to see all of the new products. So excited for Smitten Kitten and Fun in the Sun! Love, love, love Doodlebug! I love the Fun in the Sun collection the best, although I think they are all just adorable! Gaaaa! Those kitten clips!!! I am Kitten Smitten, indeed!! and the pins!!! Fun stuff!!! 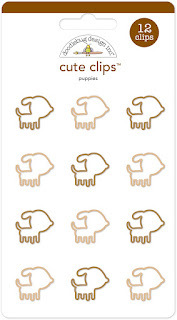 Puppy love is my new must have!!!! Loved all your new items! Absolutely delighted with kittens. Great idea with the enamel pins and clips, notched, but to stop on any one option it is impossible - I want all these lovely things! I love Puppy love! Would make a super cute mini book for my furbabies! Fun in the Sun!!!!!! Hello Flamingos!!! Kitten Smitten is my favorite, adorable! I love all the cute clips. 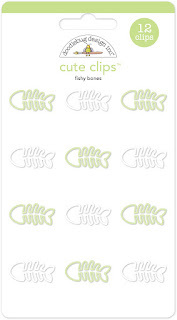 A fun accessory to add to cards, scrapbook pages or gifts. Eeeep!!! Todays sneak peeks are so cute and fun!!! With summer on its way, i gotta have me some Fun In The Sun!! I'm also loving the collectible enamel pins...and every single other thing!! As always, so much to love from the brightest company around!! Eeeek! I love the Odds and Ends die cuts. Those pups are adorable and I love the fun colors. Those pins are also my favorites...I want them all! The Meow for sure! I have 3 cats!!! Oh, Puppy Love - Odds and Ends, are my favorite. But, they are all so darling. I love kitten smitten!! Will definitely need to hide that from my 6-year old daughter or it will go missing fast! I am such a sucker for anything with a dog theme. Needless to say, "Puppy Love" is my favorite! Love all those flamingos - especially the clips. Oh would love me some Fun In the Sun!!! Great lines!! I love anything with critters! Adding Kitten Smitten and Puppy Love to my wish list! oh my goodness... so adorable. I love the puppy love collection!! Doodlebug you NEVER disappoint. Oh dear. So hard to pick because I love Fun in the Sun and Puppy Love. I love the Puppy Love!!!!! We are getting a new puppy soon and it would be awesome to be ready for him or her! Yay!!! I am soo excited for everything!! We have a cat & dog & summer photos are always fun to scrap! I love doodlebug, you never disappoint!! I am SOOOOO excited that you gusy are getting a kitty and a doggie collection! I am lovin' those paper clips! Adorbs! OMG I am so excited that you have come out with a doggie line! 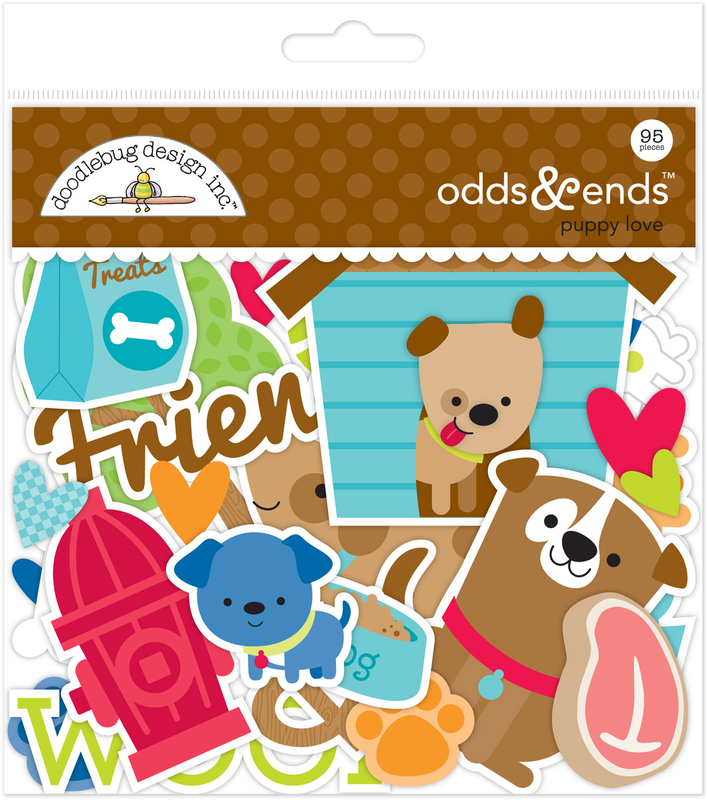 Doodlebug is my fav scrappy company and I just can't wait to get my hands on the Puppy Love line!!! I am thrilled to see you come out with a kitten collection, a must have! Also thrilled you are now doing die cuts! Cannot wait to see more! Those flamingo clips are awesome. Can't wait to see that whole set together. The Fun in the Sun collection is a must have for me. I live in Florida and love anything with flamingos. I shared this blog post on my Facebook page. The enamel pins are adorable...I love pineapples! I love the kitten smitten!!! oh boy---all three are soo cute!!! I want all three! Puppy love or kitten smitten...I would be happy with either one! I'm so crazy smitten with kittens it's crazy! I love this collection--all of it, from the cute pins and clips to the stickers and papers! I am so in love with Fun in the Sun and Puppy Love. The odds and ends and clips are great! You cannot go wrong with Doodlebug. It is so bright and cheerful. I am probably going to have some of all three lines. I think Smitten Kitten is my favorite. I really like the cuteness of the paper. I pinned my favorite items to my Doodlebug Pinterest board!! I am definitely a liker and a follower on Facebook and I shared this with my friends!!! Following you on Instagram as @taunyabutler and I did a repost of this release!!! So awesome and fun!! I love those little puppies, I need them! Love all of these collections but puppy love is my favorite!